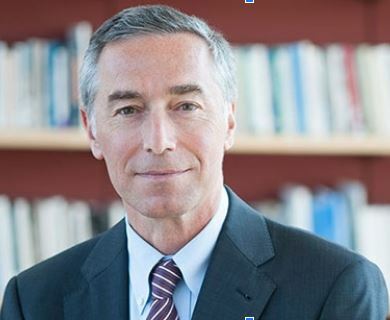 Brown University Provost Richard M. Locke, a professor of political science and international and public affairs was recently awarded a $100,000 grant for his project “The Future of Work and Its Implications for Higher Education.” The project will examine the opportunities and challenges that rapid technology advances are posing for current and future generations of students. The grant will fund faculty and student research, as well as a Brown faculty colloquium and meetings involving academic leaders nationally. PBN: What is the desired outcome of this project? LOCKE: At Brown, we’ve recognized that rapid technological change not only places new demands on employers and workers, but also challenges us as a university to reconsider our approach to teaching, learning and career development. Our Future of Work initiative focuses first on understanding how the nature of work might be changing. Last year, I convened a group of faculty [members] from across the university – in the sciences, social sciences and humanities – to begin discussing the various challenges presented by automation, changing labor practices and growing income inequality. We know that no single perspective or field of study holds a monopoly of ideas and solutions, and the focus extends beyond the technological and economic dimensions of work to include the humanistic aspects. For example, we’re interested both in how the types of jobs that people do are changing, as well as how the meaning that people derive from their jobs is changing. This spring, we’re also beginning to provide seed grants for faculty and graduate student research projects that explore these topics. Our long-term objective is to generate lessons for higher education from what we learn. We hope that our research and engagement on campus will inform how we educate our students and prepare them for their lives after graduation. Understanding the trials and tumult that students might experience in the labor market has the potential to inform universities’ curricula, approaches to advising and strategies around continuing education. PBN: What’s your assessment of how higher education has reacted so far to rapid global changes, technology advances, etc., in preparing people for the future workplace (or lack thereof)? LOCKE: We’ve seen two trends in higher education that respond to some of the challenges presented by globalization and automation. The first is a move toward broadening access to higher education. There has been a wave of efforts to welcome new populations of students to universities through Massive Online Open Courses, distance-learning programs and executive education, among other channels. Research in labor economics has suggested that individuals with higher levels of education and more skills are better equipped to adapt to rapid technological change. Expanding access is essential, as is ensuring consistent, high educational quality for the broader populations served. A second trend is a push toward lifelong learning. Recognizing that university students and graduates might need to develop new capabilities and acquire new knowledge over the course of their lives, several universities have explored how they can develop a longer-term educational relationship with their students. Challenges will include how universities can extend their educational commitment to students for decades while also improving quality and remaining financially sustainable. At Brown, we’re in year five of a 10-year strategic plan called Building on Distinction. One of our commitments in this plan is to continue experimenting with new modes of education that integrate new technologies and improve the Brown curriculum. We believe that this experimentation – in a liberal education environment [such as] Brown’s – can help our university and others deliver on expanding access to higher education and increasing its value in the long term. PBN: How are factors such as growing trade disputes, economic nationalism, the erosion of “social solidarity” impacting the future of work? LOCKE: Research in economics, political science and even public health [suggests] that there is a jumble of related factors that present challenges for workers and communities in the decades to come. The two most prominent in “future-of-work” research have been trade and technology. The expansion of trade with China, for example, has been associated with economic challenges for communities that have been forced to compete with Chinese imports. And automation technologies have been linked to the disappearance of middle-skill, middle-income jobs. But discussions about changes in the workforce and the workplace should not end there. It’s also important to approach work as a source of meaning and dignity – not just a source of wages. In this way, explorations of the future of work might be able to speak to broader social challenges, such as the troubling rise in opioid addiction, which is having a real societal impact on so many levels, including the workforce. PBN: Of course, rapid global changes and technological advances present challenges for higher education in preparing students for a future that’s difficult to predict. But what are the opportunities? LOCKE: Understanding the shape and impact of technological change is a chance for universities to improve the education we provide to our students and the research that we produce to benefit society. This project offers a venue to consider how we can fulfill our missions with the greatest impact in the current social, economic and technological environment. PBN: What is the timeline of the project? LOCKE: We began our discussion of these issues in fall 2018 with a graduate-level seminar and three faculty colloquia. We’ve continued our faculty colloquia this spring. We’re also preparing to support faculty and graduate student research projects related to the future of work beginning in April 2019. Our goal is to seed research projects that will grow in the years to come, offering deeper insights into these important matters and helping to inform policy and practice within and beyond the university.